At Second to Creation, we believe that everyone harbors an inner light and beauty. That inner beauty motivates you, nurtures your relationships, and allows you to face every obstacle with an inner reserve and strength. But we know that it can be a little harder to tap into that personal beauty once we start to age. When our appearance no longer reflects how we feel inside, it can be hard to feel proud and confident about your appearance. Your vibrant inner self can be obscured by jowls, sagging cheeks, and sagging skin around the neck. When you want to regain that inner joy and pride about your appearance, a powerful rejuvenating procedure like the facelift can help. Of course, this is your face, and it takes a certain amount of experience and skill for a surgeon to become truly trustworthy enough to perform your facelift. 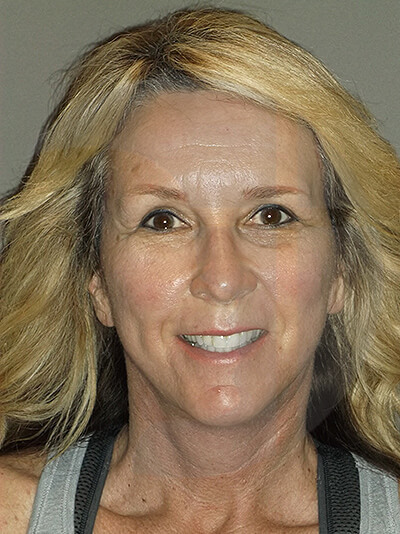 So many patients seeking a facelift in the Inland Empire area choose Dr. Machid because they want someone they can truly rely on through every aspect of their facelift. 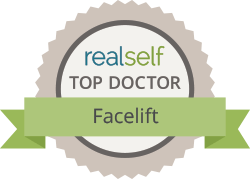 That’s who Dr. Machida ultimately is: a skilled, dedicated facial plastic surgeon that specializes in the facelift. Dr. Machida has performed thousands upon thousands of facelifts during his illustrious 30-year career, and he’s gathered a retinue of sophisticated techniques that have been proven time and time again. While some cosmetic surgeons only have experience in general surgery, Dr. Machida is a double board-certified facial plastic surgeon. Thanks to his years of experience, Dr. Machida has a deep knowledge of facial anatomy and a mastery of facial aesthetics; he knows how to avoid the typical “windblown” look that so many people associate with the facelift. With Dr. Machida, you can rest assured that you will look just as you are—just younger and much more vibrant. If you have any questions, or wish to meet with Dr. Machida for a facelift consultation, please call our Inland Empire office at 800-303-9541 or fill out our contact form here. A facelift targets the area of the face that’s typically hardest-hit by aging: the lower face. A facelift can do wonders for lifting jowls, creating fullness in previously hollowed areas like the cheeks, and contouring the face. Of course, Dr. Machida knows that outstanding, long-lasting facial rejuvenation is contingent on addressing signs of aging on the neck, which is why his facelift also smooths, lifts, and tightens the neck. With Dr. Machida’s facelift, patients can also tighten loose skin on the neck and soften the appearance of heavy bands for a sleeker, more youthful profile. If a patient is vigilant about protecting their skin and keeping a healthy lifestyle, Dr. Machida’s facelift results are expected to last many years. As remarkable his facelift is, Dr. Machida likes to point out that a facelift can’t directly address finer signs of aging like wrinkles and fine lines. For a more comprehensive transformation, Dr. Machida likes to combine his facelift with the J-plasma, his revolutionary skin resurfacing procedure that rebuilds and strengthens the skin. Patients should display a substantial amount of aging to qualify for a facelift; otherwise, many of our patients opt for nonsurgical rejuvenation treatments. 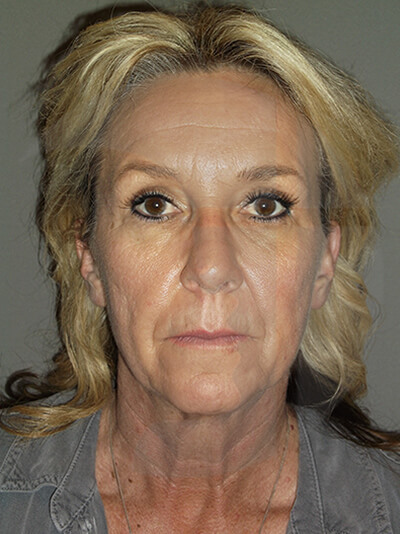 If you have jowls, sagging cheeks, drapey skin on the neck, or a gaunt or hollow look to the face, then you are an ideal candidate for the facelift. Some of our patients want to know what the typical age is for patients wanting to undergo the facelift, but Dr. Machida stresses that a patient’s health is a bigger factor as to whether they qualify for the procedure. Patients who are physically healthy with no major untreated health conditions are the best candidates for the procedure; healthy patients are more likely to have a quicker recovery and have a lower risk of suffering from complications after the surgery. Another important factor is the patient’s motivation; an ideal patient should have reasonable expectations for what a facelift can do for them. They should also have a support network of family and friends that can help them through their facelift recovery. Because nicotine can impede the healing process, patients who smoke are required to quit at least one week before and 10 days after the procedure. So many surgeons market their skills through a particular facelift technique, but the mark of a skilled facial plastic surgeon is the ability to personalize their facelift to whatever their patient needs. Dr. Machida has a wide retinue of facelift techniques, but he will use whichever techniques work best with your facial anatomy and your aesthetic goals. Dr. Machida can not only perform his facelift using local anesthetic, but he can also perform it in a remarkable 1 ½ to 2 hours. That shorter operative time and local anesthesia allows for a much safer procedure and a less intense recovery. Make no mistake, Dr. Machida does not have to hurry through the procedure like other surgeons might; instead, he has the experience and skill to complete the procedure without the risks associated with general anesthesia. Because of Dr. Machida’s advanced techniques, his facelift has a remarkably short recovery time: 7-10 days. If the patient had a more extensive work done, the recovery might take up to two weeks. Once Dr. Machida clears them, patients can return to work and their daily activities. Some patients have also reported that his facelift feels much less uncomfortable than they expected—so much so that prescription pain medication might not be necessary for very long. Still, it’s highly recommended that patients have a trusted family member or friend assist them for the first two days of their recovery. Patients will feel some temporary tightness, soreness, and bruising after the facelift surgery. Patients will also experience some swelling after the procedure, but a majority of the swelling dissipates after a month; after that, patients should be able to see their full results, but any remaining swelling might take up to a year to fully abate. Why Should I Choose Dr. Machida for My Facelift? You will still look and feel like your beautiful self after your facelift, but understand that it’s still a major transformation. You need the help of a compassionate surgeon and medical staff to walk you through every step and support you through a time of transition. As talented Dr. Machida is, what makes him stand out to his patients in the Inland Empire is the incredible hospitality of his practice and his staff’s attentiveness to meticulous post operative care; he strives to make every patient feel welcomed and accepted because he wants his patients to make this journey with complete confidence and peace of mind. For a chance to learn more about Dr. Machida’s remarkable facelift, contact Second to Creation here in the Inland Empire for a consultation.